Welcome to a grittier, more contemporary, and more diverse view of Stockholm. With over 60 million copies of his bestselling trilogy Millennium sold worldwide, late author Stieg Larsson introduced a different side of Sweden to the world beyond long-held stereotypes; revealing the more contemporary, grittier face of its capital city Stockholm through his lead fictional characters – journalist Mikael Blomkvist and hacker-extraordinaire Lisabeth Salander. 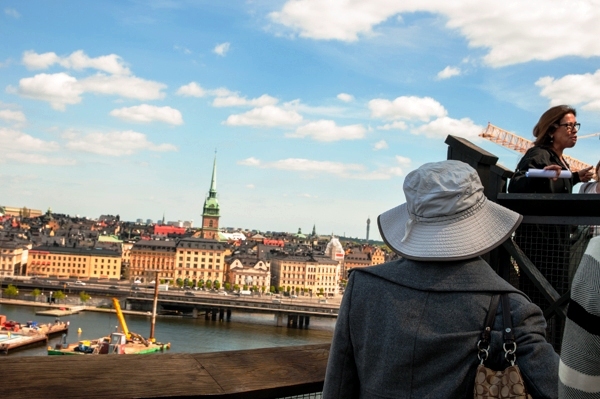 Meeting up at Bellmansgatan 1, tour guide Ylva da Silva shows travelers views of Stockholm’s old town Gamla stan and Riddarholmen across Riddarfjärden bay. During the 17th century, only structures made of stone and brick were allowed in Gamla stan after fires destroyed a portion of the city. 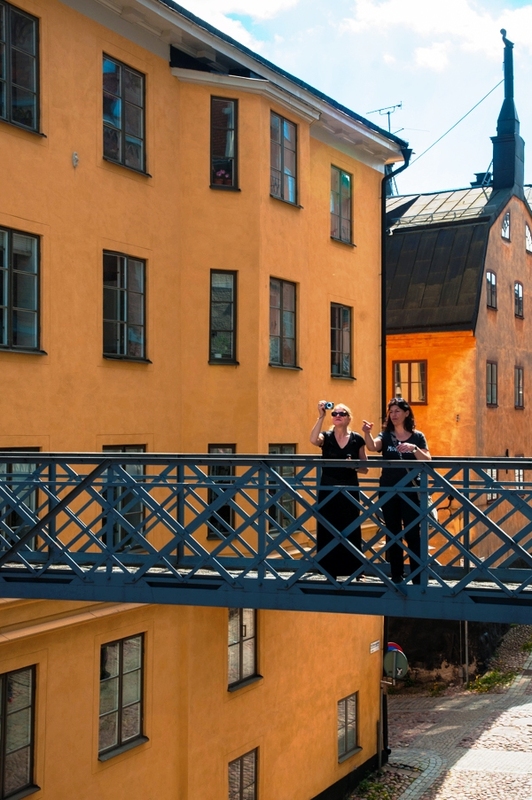 This meant working class and poorer residents who could only afford wooden houses had to move south to the island known as “Åsön” at the time, now called Södermalm (“Söder”). You can find a few remnants of these red wooden cottages at the end of popular street Åsögatan. Stieg Larsson called Söder home. As a journalist himself up until his untimely death from a heart attack in 2004, Larsson was editor-in-chief of Expo, a political magazine which his fictional Millennium magazine is loosely based on. Both magazines are located on this bustling island. Today’s Söder is a gentrified mix of wealthy, eclectic, religious, and working class residents as spotlighted in Larsson’s books. From the impressive 21-room penthouse on Fiskargatan 9 which character Lisbeth Salander buys and the highly-coveted hilltop location of Mikael Blomkvist’s apartment on Bellmansgatan 1 to Jewish Synagogue Adat Jisrael and Stockholm Mosque within blocks of each other, and industrial-style socialist era apartments on Lundagatan. Larsson portrayed a Stockholm much more diverse than previously showcased. Across Riddarfjärden as Ylva points out, you’ll find Stockholm’s wealthiest and glitziest neighborhood, Östermalm where Larsson bases his “bad guys” such as fictional billionaire Wennerstrom from Girl with the Dragon Tattoo, who lives on the most expensive street of all, Strandvägen whereas his protagonists and “good guys” all lived and operated out of his favorite neighborhoods on Södermalm. Stockholm’s vibrant coffee culture is heavily fueled by the Swedish tradition of “fika” –socializing over cups of coffee and sweet pastries. 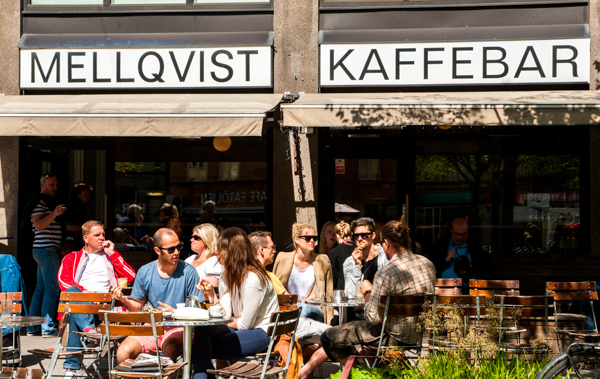 At Hornsgatan 78 on Södermalm, you’ll find Mellqvist Kaffebar which is fictional character Mikael Blomkvist’s regular café spot and was also Stieg Larsson’s fika joint in real life. Larsson himself was often found working on his laptop at the café which is conveniently located beneath the offices of Expo. Sprinkled all over Södermalm are various local watering holes and ethnic restaurants. Larsson often had lamb stew at cozy Lebanese tavern Tabbouli which served as inspiration for his fictional Bosnian restaurant “Samir’s Cauldron” where a shoot-out takes place in his third book, The Girl Who Kicked the Hornets’ Nest. 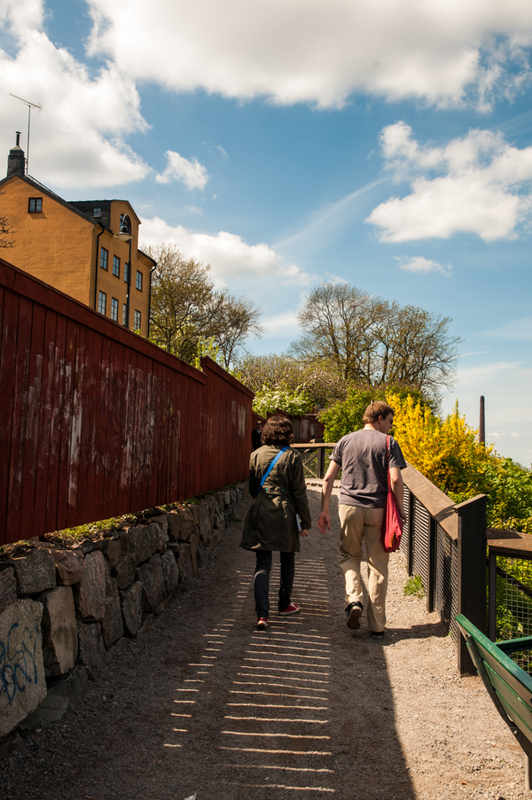 Travelers can find traditional Swedish cuisine like reindeer and meatballs at classic restaurant, pub, and club Kvarnen where Lisbeth Salander often met with members of fictional girl band Evil Fingers. All along Folkungagatan, Götgatan, and the area south of Folkungagatan called “so-fo”, you’ll find a variety of Thai, Middle Eastern, Greek, Southeast Asian restaurants, British and Irish pubs, as well as European bistros and cafés. While Larsson’s books were inspired by Stockholm’s – particularly Södermalm’s – rich diversity, they were often infused with traditional and socio-political undertones. Paying homage to world-renown Swedish author Astrid Lindgren and her wildly popular children’s books based on rebellious red-haired Pippi Longstocking, Larsson’s Lisbeth Salander represents Pippi Longstocking once she reaches her twenties. Travellers to Stockholm can find a model version of this fantasy villa at Junibacken – a children’s playground and storybook museum on the island of Djurgården. As for Mikael Blomkvist, many suspect Larsson’s heroic character was modeled after Astrid Lindgren’s Kalle Blomkvist – the lead in her teenage detective series. Beyond his geographical split of good guys versus bad guys referenced throughout his books, Larsson saw the need for immigration in Sweden and made sure his characters were culturally and ethnically diverse based on his daily view of an ever-changing Stockholm where roughly 25% of residents are either first or second generation immigrants. He wanted to share this with the world through 10 originally planned books in his Millennium series. He left behind three bestsellers instead. 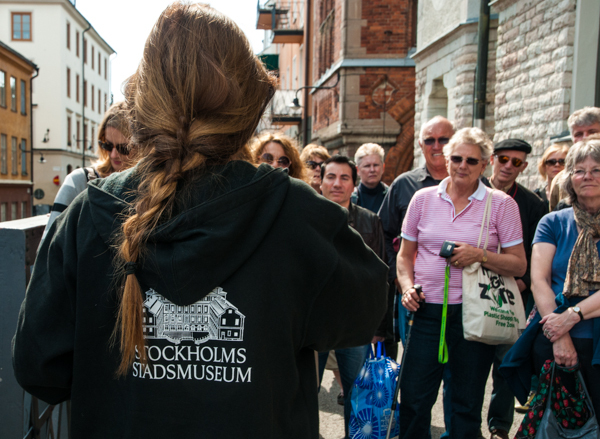 Two hour long tours of key locations referenced in Larsson’s three books are organized by Stockholm City Museum and led by certified guides such as Ylva da Silva on Saturdays at 11:30am all year round. During the summer months of June to September, travelers can also take the tours on Wednesdays at 6pm. An edited version was published by Lola for BBC.